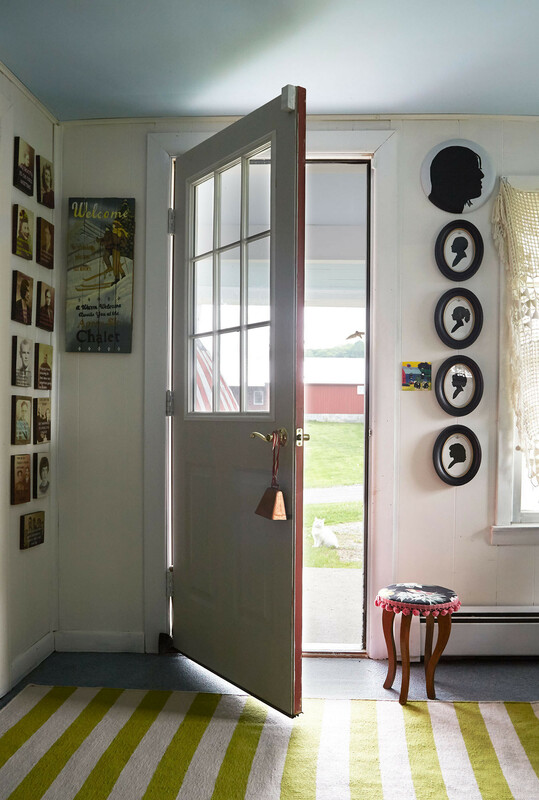 A collection of cameo portraits dominates the living area in the guesthouse of Tata Harper's Vermont farm. The door to the five-bedroom guesthouse. Growing up in the industrial port city of Barranquilla, Colombia, Tata Harper would never have imagined that her days would someday start with an orange valley sunrise, a braying herd of Scottish Highland cows, and the wafting scent of a nearby lavender field. 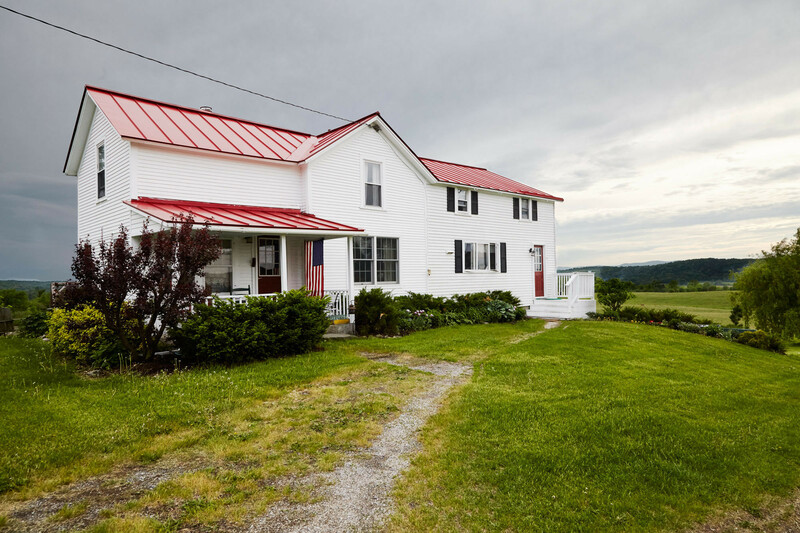 But on the 1,200-acre farm on which she now lives and works in Shoreham, Vermont, such markers of a slow life come with the territory. Early one hazy summer morning, the skincare magnate can be found at a reclaimed wood desk in her office in a converted dairy barn—reachable through a soaring wood silo lined with cooing chickens and ducks—where, it must be said, she is the picture of pastoral elegance: a fresh-faced poster girl for her eponymous brand. An eclectic corner in the main residence. Harper is a glowing advertisement for all-natural living. As comfortable as Harper may seem in her current surroundings, straw hat and muck boots permanently on hand, it was her globetrotting history that set the stage for this settled lifestyle. After leaving Colombia to live in Mexico and Paris, she decamped to Miami in 2000, armed with a degree in industrial engineering and a deeply entrepreneurial spark. “The training in industrial engineering had a lot of legs,” says Harper, who runs all aspects of her organic skincare business (including research and development, production, packaging, and shipping) from her Vermont headquarters-slash-homestead. “It was about times and methods and processes for doing things. It gave me the skills not to be intimidated to do it myself.” Compound that with career experiences that include construction-project management and real estate development, and Harper was equipped to create not only a highly functioning business but also a remarkable home. While living in Miami, in an airy abode decorated in what Harper describes as an Andean-inspired Precolombino style (think shaggy rugs and suede textiles), she and her husband, Henry, began dreaming of a weekend escape. 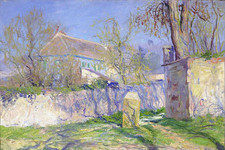 Though also Colombian by birth, Henry grew up in New York and hoped to spend more time in the Northeast. When they discovered Julius Kingdom Farm, they knew they’d found the perfect place to convene with family and friends. “The land drew me to it,” says Harper, “the views of the rolling hills, the natural beauty.” For the next four years, the couple would commute from Miami to the farm for short trips, growing increasingly wistful on packing day. In 2007, they moved there permanently. A simple vignette in a lavender-walled corner. 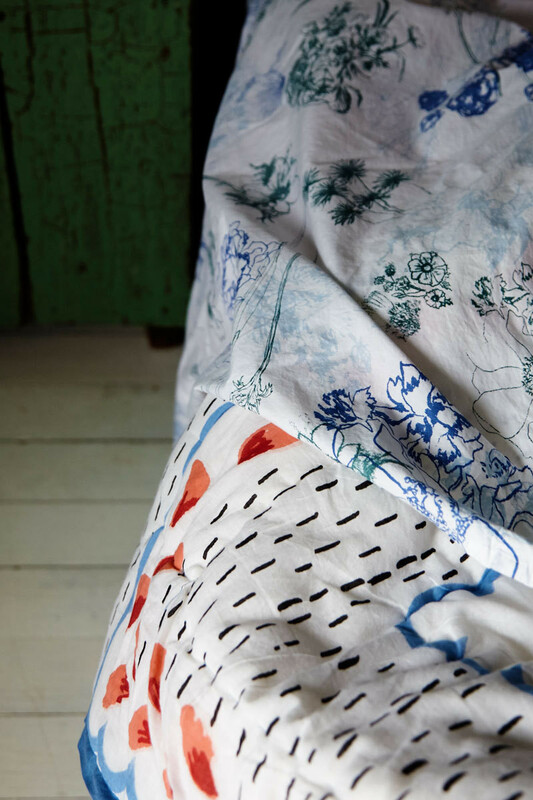 Illustrated textiles add layers of character. The compound plays host to several outbuildings, including the sizable barns fronted by a gazebo that often serves as Henry’s office (he is co-CEO and chairman of the board of Tata Harper), and a circa-1940 house that Harper conceived as a crash pad for guests. 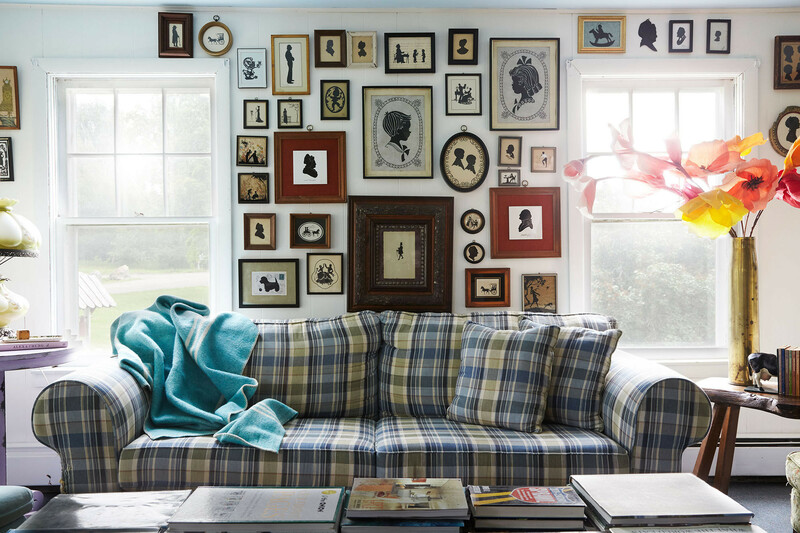 She calls the interiors “rustic and cluttered with detail.” A gallery for her many collections, the five-bedroom house features a wall of cameo portraits inspired by those of her grandmother’s; a bathroom ringed with bar soaps from around the world that Harper gathered as research for her line; and colorful, Americana-inspired furniture and decor. A five-minute ride by golf cart (the family’s preferred mode of transportation) up a dirt road sits the main residence, a circa-1820 white farmhouse that Harper shares with Henry and their three children—Hunter Laurence, six, Grace Paloma, five, and Tata Mia, two. The interiors, while more considered, speak to that same regionally inspired rusticity. 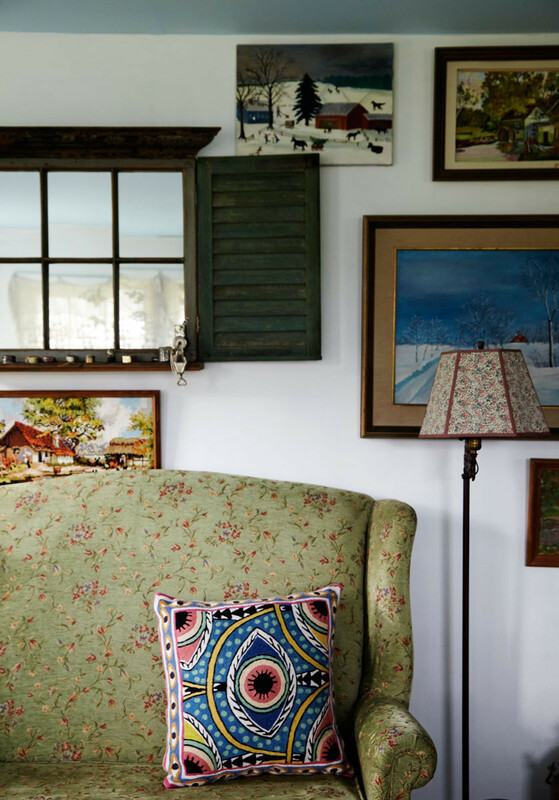 Harper decorated the rooms herself with a mix of antiques and vintage treasures sourced from local vendors and on trips to the Hudson Valley, Maine, Massachusetts, and Colorado. “I love hunting for pieces—finding them, negotiating, the whole thing,” she says. The result is a cheery take on farm life with unexpected hits of boldness. 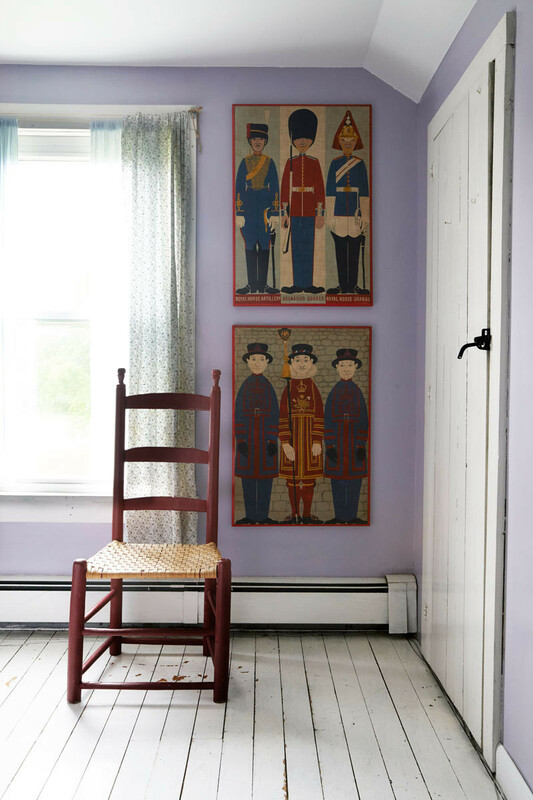 The kitchen is mint green; Shaker-style dining chairs sit on well-loved Oriental rugs, chintz-upholstered armchairs live alongside livestock-themed art, and window casings in an otherwise stately white-walled room are painted vivid cobalt blue. Harper’s approach to design, much like her approach to running a company, is anything but hands-off. “It’s a hobby for me, so it would take the emotion out of it if somebody else did it,” she says. 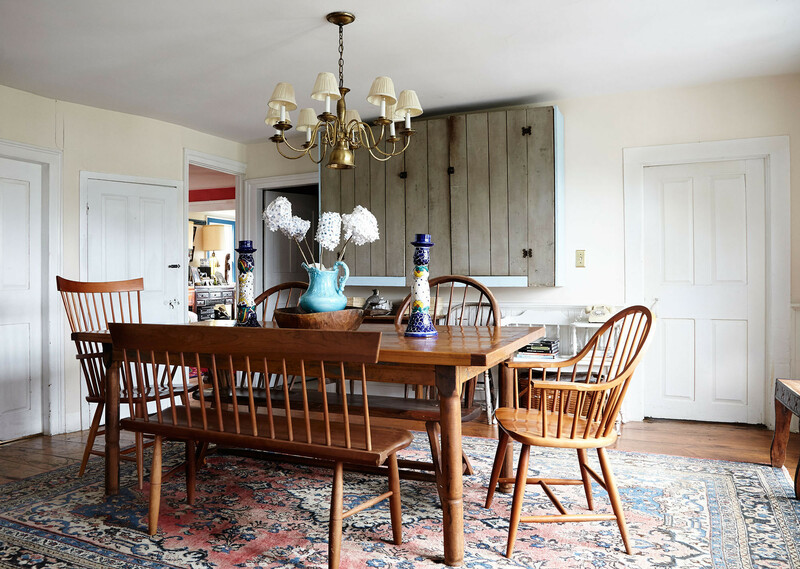 The family's dining room features Shaker-style seating and a well-loved rug. As for the idyllic routine enjoyed by Harper’s three children? “Nature rules their lives,” says Harper. From ski trips in the winter to hiking and picnicking lakeside in the summer, the pastoral state is an all-seasons playground. But much of the fun for the three Harper children happens on the farm, where the family’s 10 dogs, rescue horses, cows, chickens, ducks, and revolving door of barn cats keep them busy. Add in an at-home ice hockey rink near the barns, and there is little reason for anyone to leave. 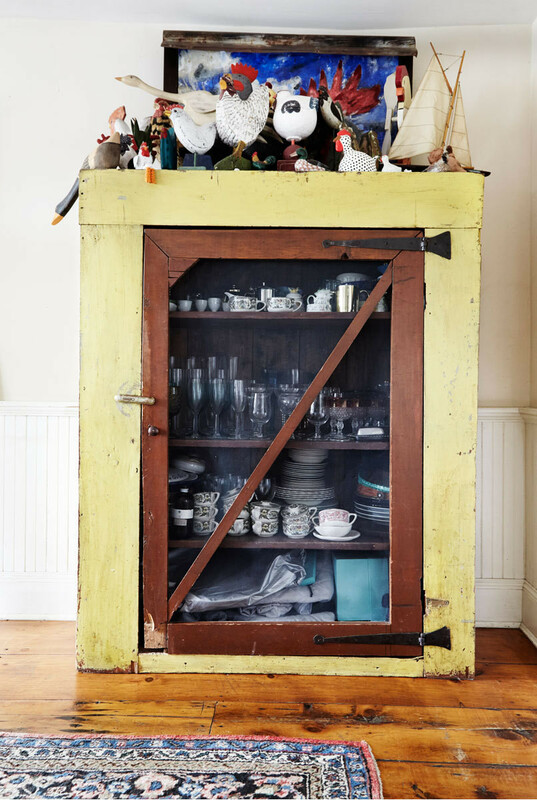 Tabletop items are kept in a rustic cabinet. 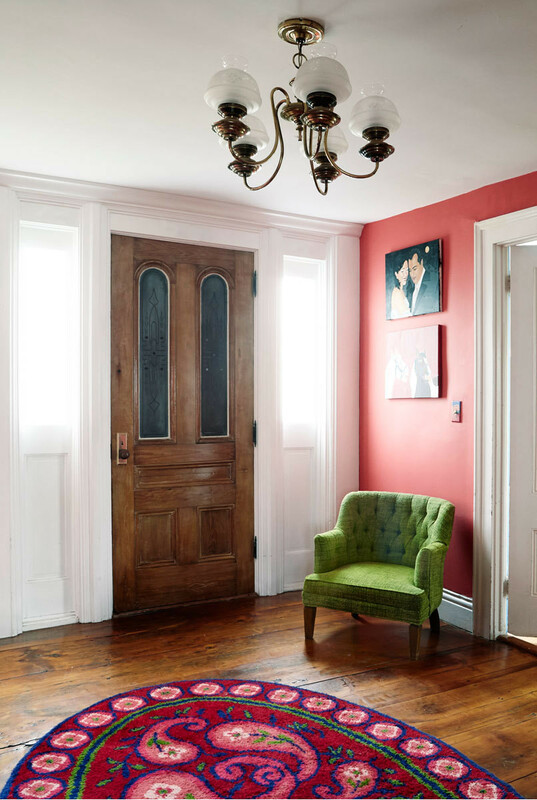 Bold color enlivens the main home's entry. A walk around the grounds reveals not only a bounty of family-friendly diversions but live ingredients for the Tata Harper line, including arnica, lemon balm, calendula, and alfalfa. 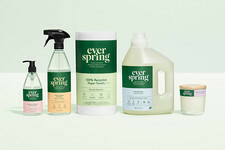 With the farm’s organic certification and its commitment to creating 100-percent natural products, Harper has achieved an enviable work-life balance—her lifestyle informs her line, and vice versa. 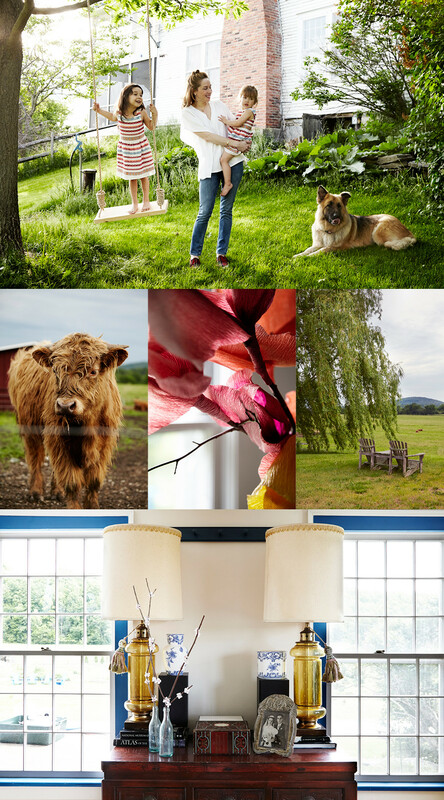 “Living around nature keeps me inspired,” she says. “Being in such a beautiful place makes you want to continue your environmental efforts. You want to try to be sustainable; you appreciate that what you do supports all of this beauty for the long term.” A fitting mission for a company based on a contented, healthful way of life. The guesthouse on Harper's property, which lies sheltered in the Champlain Valley.